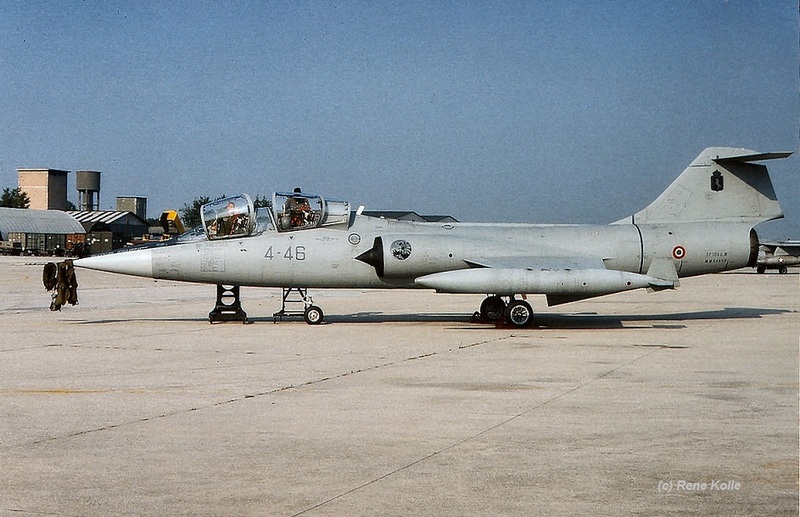 t about 11:15 local time that day this Starfighter of 20°Gr (4°Wing) based at Grosseto performed a controlled crash into the sea, along the coast along Marina di Alberese, near Grosseto. The two pilots (Capt. Marco Amort, teacher, and S.Ten. Antonio Di Matteo) ejected safely. At the time of the crash there was one AB212 helicopter of the local 604°Sq. (SAR duty) was nearby. After a touch and go on Grosseto Air Base the landing gear was found seriously damaged (maybe due to a malfunction or due to a too hard landing). It was impossible to make a secure landing and it was decided to eject from the aircraft over sea after running out of fuel. Cap. Amort was recovered by a private ship and returned via a boat of the civil fireman command of Grosseto. Pilot Di Matteo was recovered directly by the AB212 helicopter. The recovery of the aircraft from the sea to investigate the exact cause of the landinggear problems started on August 29th. It was found at 17 meters with fuselage reasonably intact, a broken wing and some other damages. It was recovered by a civil organisation with some priority due to the location of the Starfighter (near the end of river Ombrone). Beneath a photo taken at Villafranca October 15th, 1998 showing this TF-104G-M (Rene Kolle). Operated by 37 Stormo, 18 Gruppo at Trapani-Birgi AB, this aircraft crashed at 14:42 hrs (local time) near Castelvetrano Sicilia, some 20km East of Mazara del Vallo. The F-104 was part of a 4-ship formation flying from Trapani, when the engine malfunctioned. After T.Col. Francesco Tinagli (37) ejected safely, this 104 came down near Castelvetrano at Sicilia. One civilion (Mr. Angelo Calderone, 72 years) on the ground was sadly killed by debris. 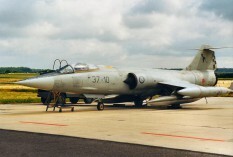 Beneath a photo showing this F-104 during the TLP exercise at Florennes. This photo was taken June 23rd, 2000, almost 4 months before it was lost.